Our new focus book is Snowsong Whistling by Karen Lotz. It is a great story, actually more like a long poem, with beautiful illustrations by Elisa Kleven. 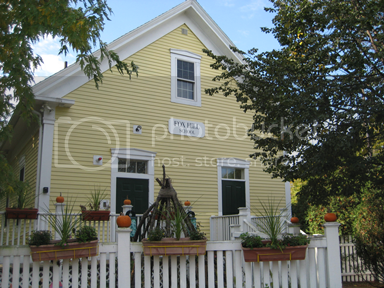 The story tells of the time of year when fall turns into winter so nature is a prevalent topic in the story. 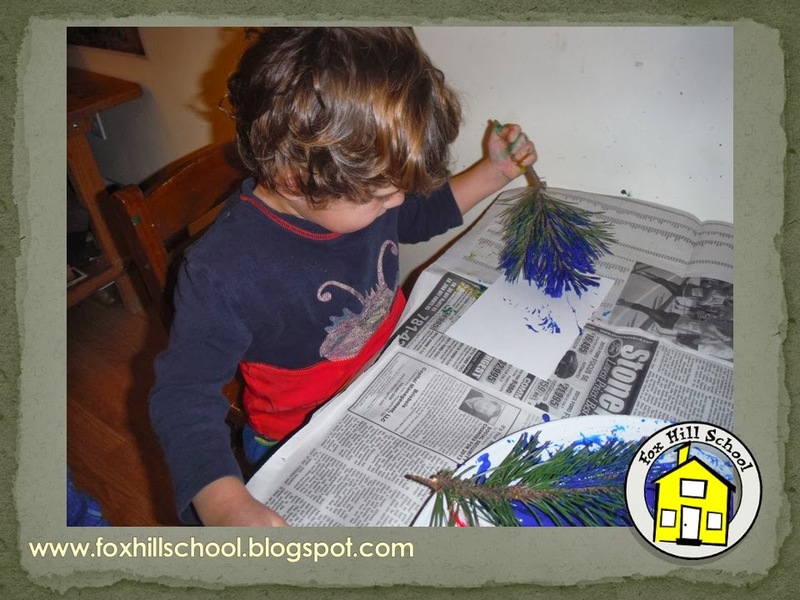 Given that, one of our activities last week was to paint with pine tree branches instead of paint brushes. 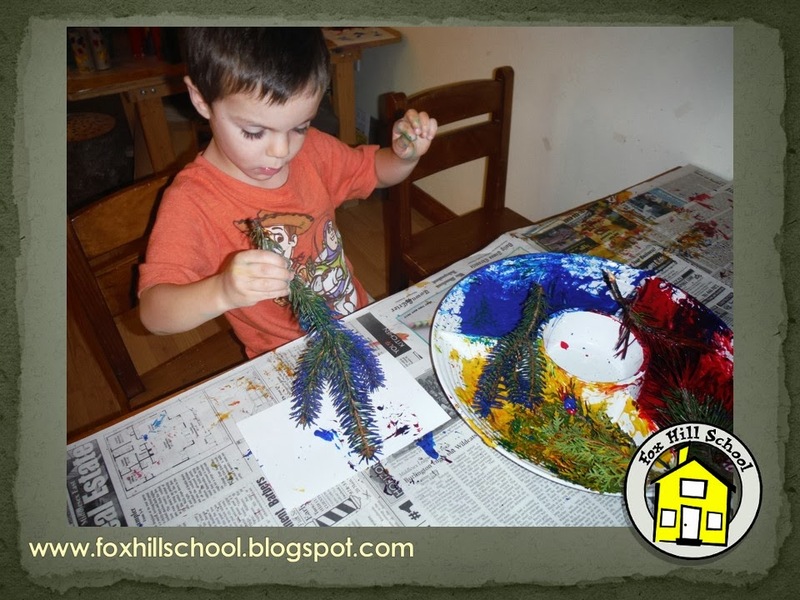 We had several different kinds of pine branches and several different colors of paint so each painting was very unique. 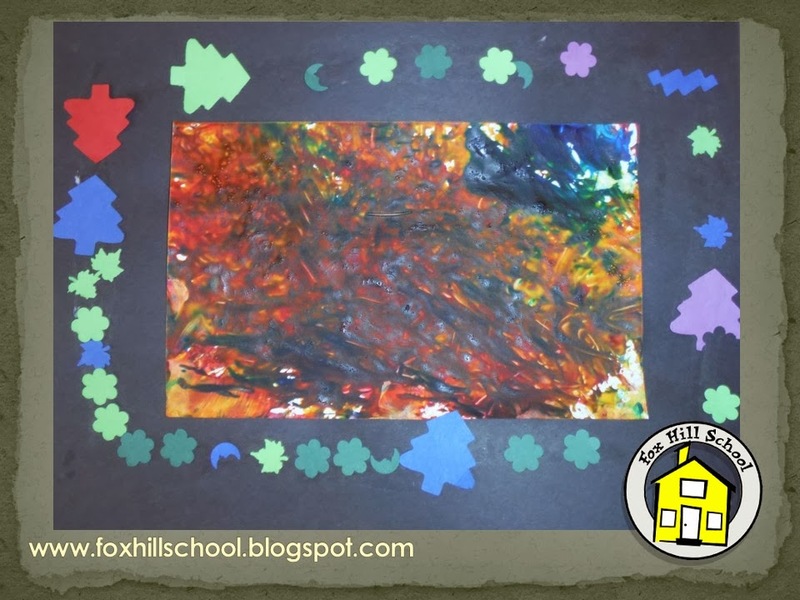 Each page of the story is framed with different beautiful patterns so to display our non-representational art we glued our paintings to black paper and used small cut out paper pieces to make a pattern border like the pages in the story. Here are a few of their awesome creations! If you would like to purchase Snowsong Whistling from Amazon, click on the picture below! Elf Off the Shelf - Wallter's Crazy Night! We have Parent-Teacher conferences today so I won't have any fun and exciting activities to report on. Happy Friday! I will leave you with my kids' silly Elf on the Shelf video from last Christmas. That's the "end." Have a great weekend! O' Christmas Tree, O' Christmas Tree! 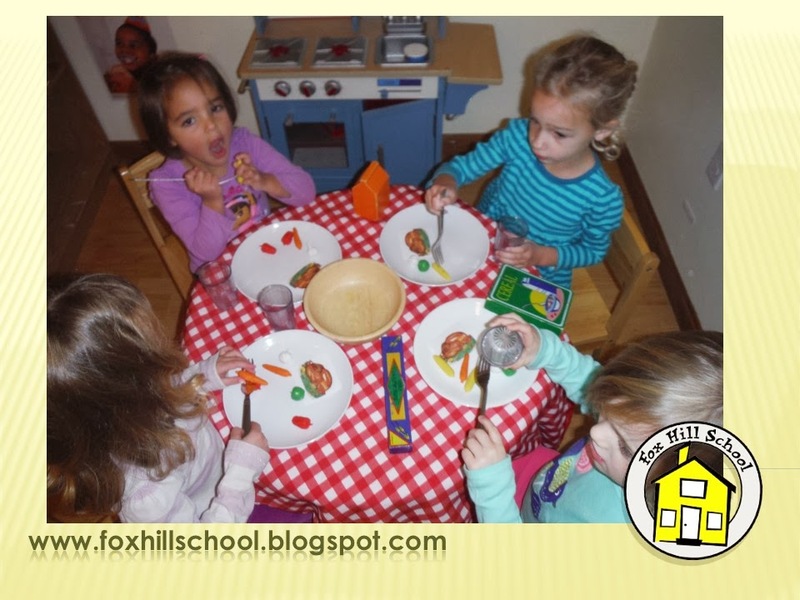 During Thanksgiving our dramatic play areas at the Fox Hill School were set up as feast tables. The kids would practice setting the table (one-to-one correspondence), combining ingredients for making the dinner (measuring) and passing the food to their friends at the table (cooperation, turn-taking, manners). As far as they were concerned they were just having fun. Little did they know they were learning math and learning how to be good friends! 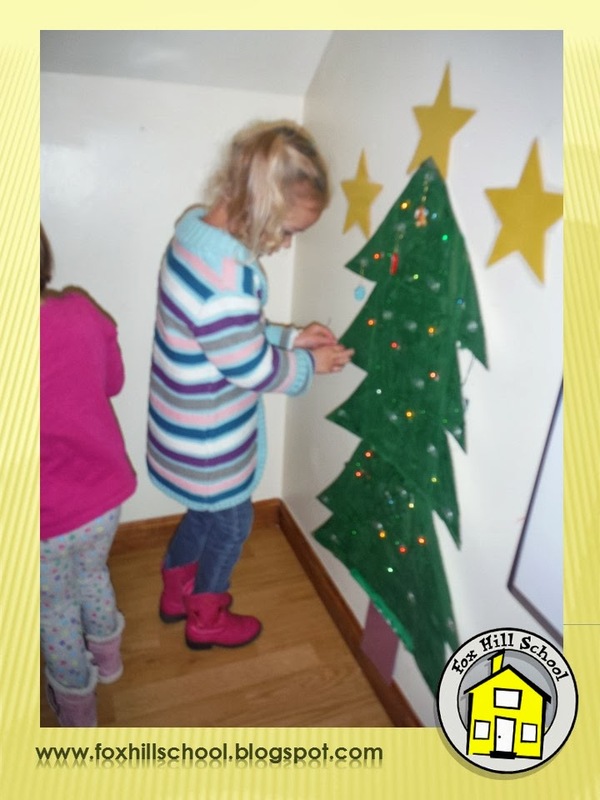 This week we added a Christmas tree to our "family gathering area" that is the dramatic play area. 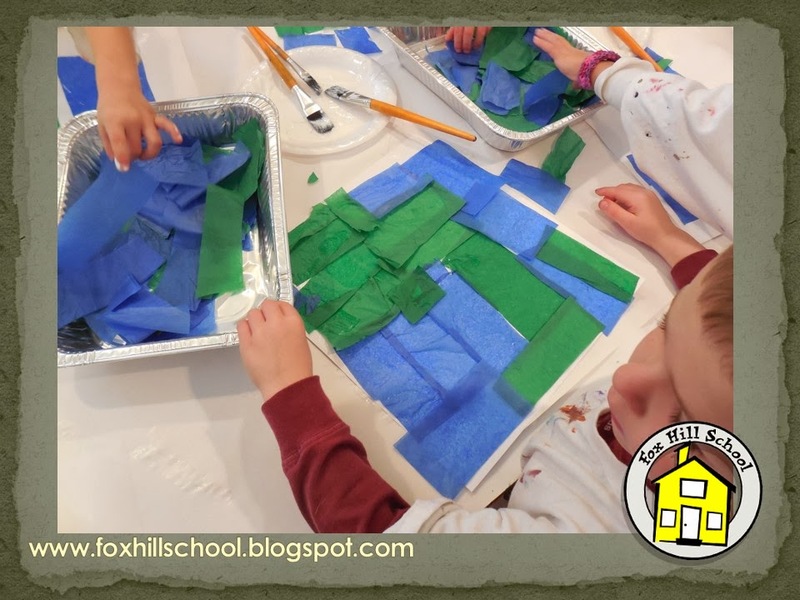 The kids all worked together to paint a big piece of cardboard green. Then we cut it into the shape of a Christmas tree. We added some battery operated dollhouse lights and some clear 3M sticky hooks and a bunch of small ornaments. 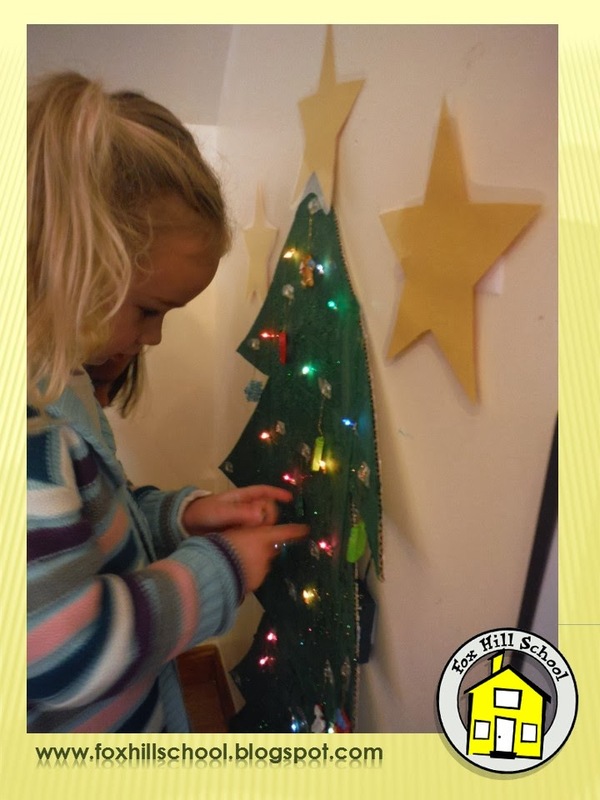 They kids have been having a ball decorating the tree during free time. As a math and fine motor activity we gave the kids some dice, had them roll and then add that many ornaments to the tree (or take them off the tree if the tree was full). The ornament strings are quite small so they really have to use their finger muscles to get the ornaments on the hooks. 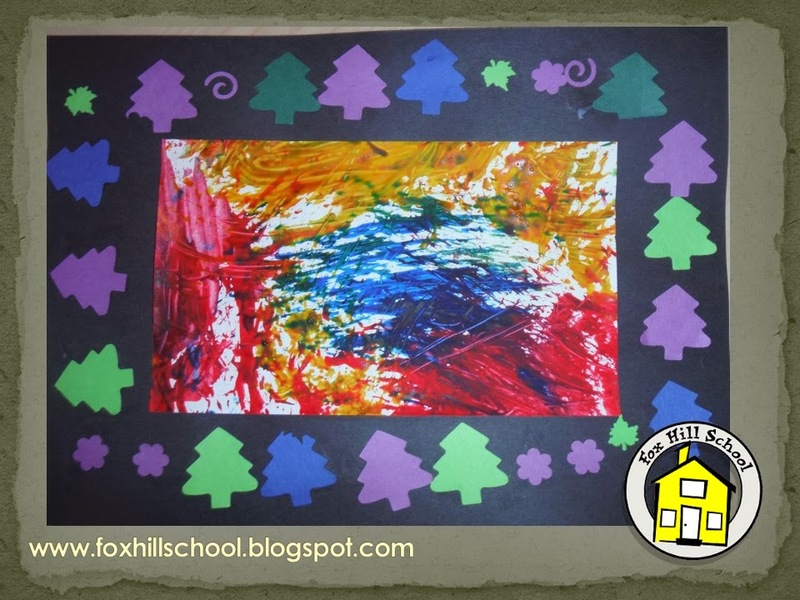 Super fun holiday addition to the Dramatic Play area! 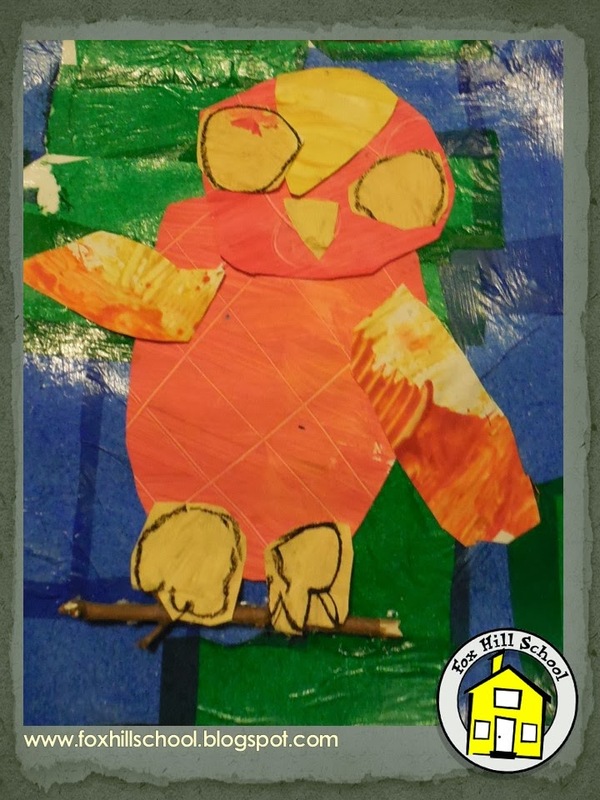 We found a fun and simple African Animal art project that the kids in our Afternoon Explorers program did to finish up our study of Africa. 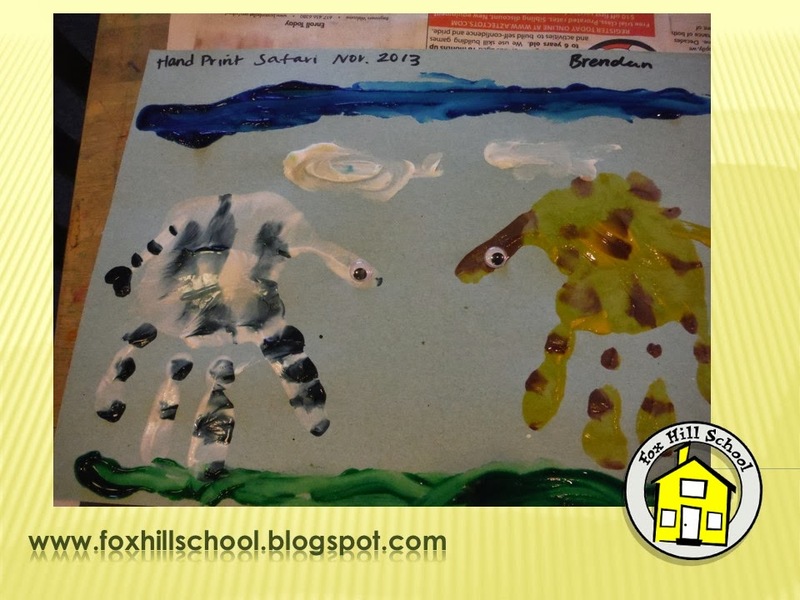 Ms. Amy and Ms. Emily painted the kids hands with zebra and giraffe patterns and the kids made upside down hand prints on their paper. Then the kids added tails, eyes, mouths etc. 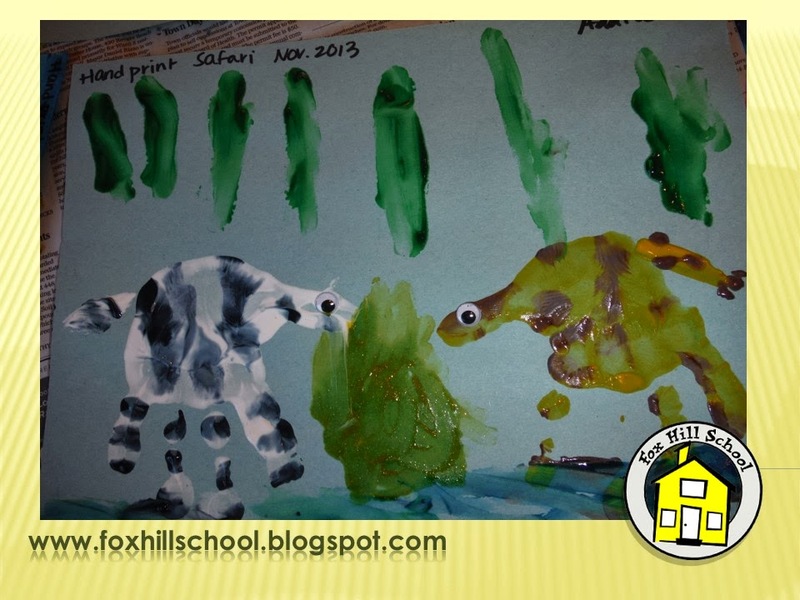 to make their animals complete and used finger paints to make the scenery for their animals. 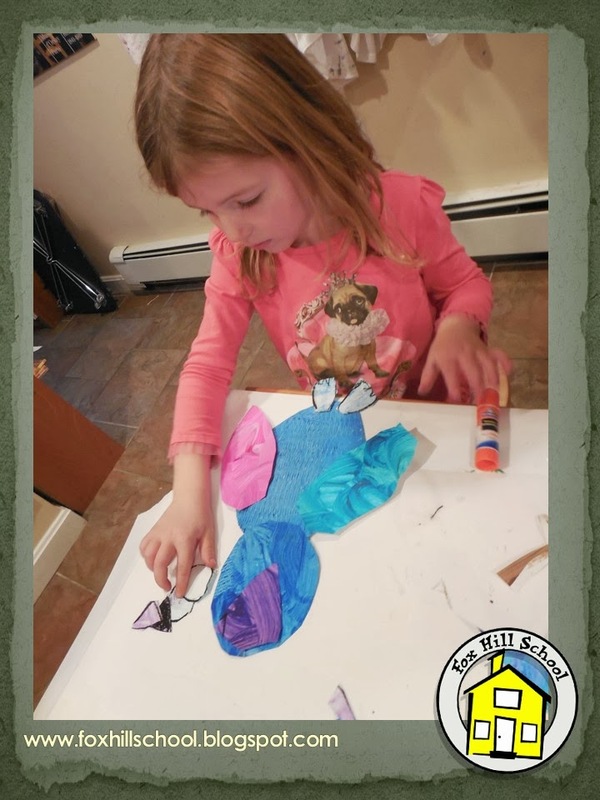 Fun and easy and the kids had a blast making their awesome animals! 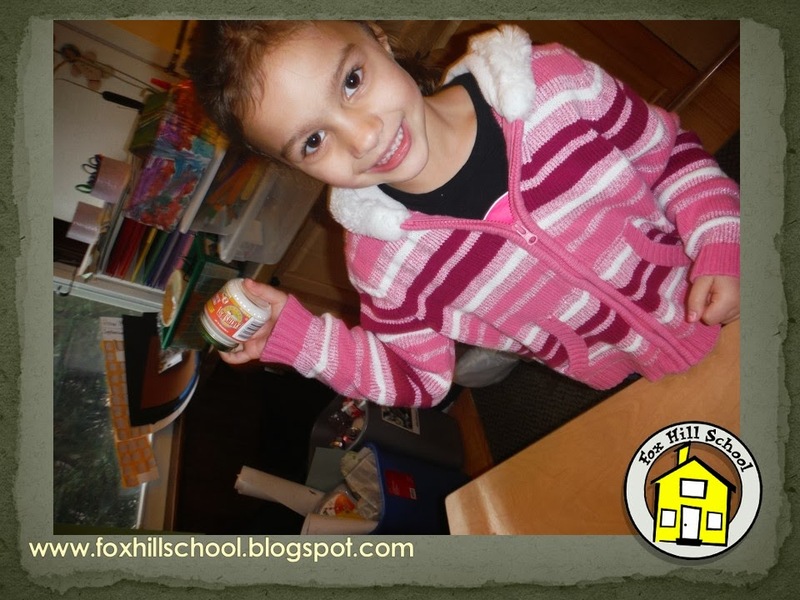 As part of our Thanksgiving celebration last week, the kids made their own bread and butter for snack. We made the bread in a bread machine (pointing out that this is NOT how the pilgrims made their bread!) We made the butter by putting heavy cream, a sprinkle of sugar and a sprinkle of cinnamon into baby food jars. Then the kids took turns shaking, shaking, shaking until the cream turned into butter. 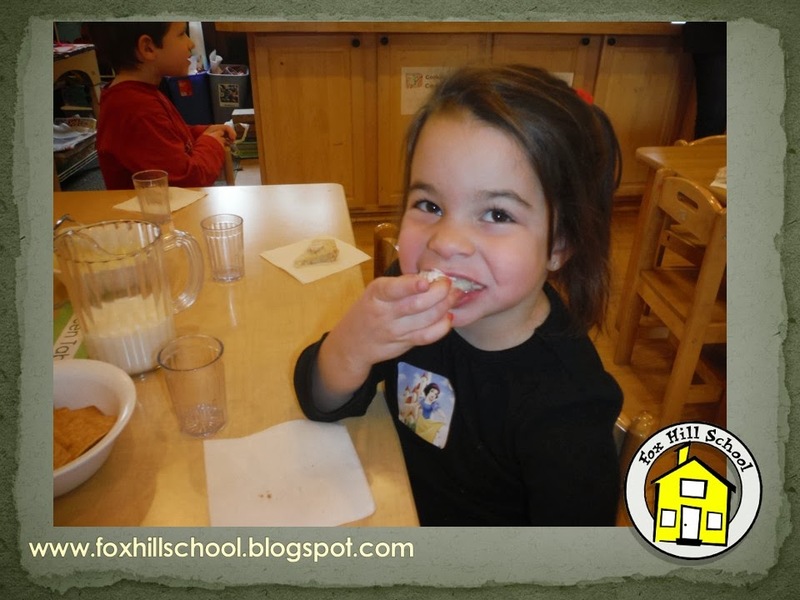 The kids were amazed with the culinary science experiment and the homemade butter spread onto bread we made at school made for a tasty treat at snack! 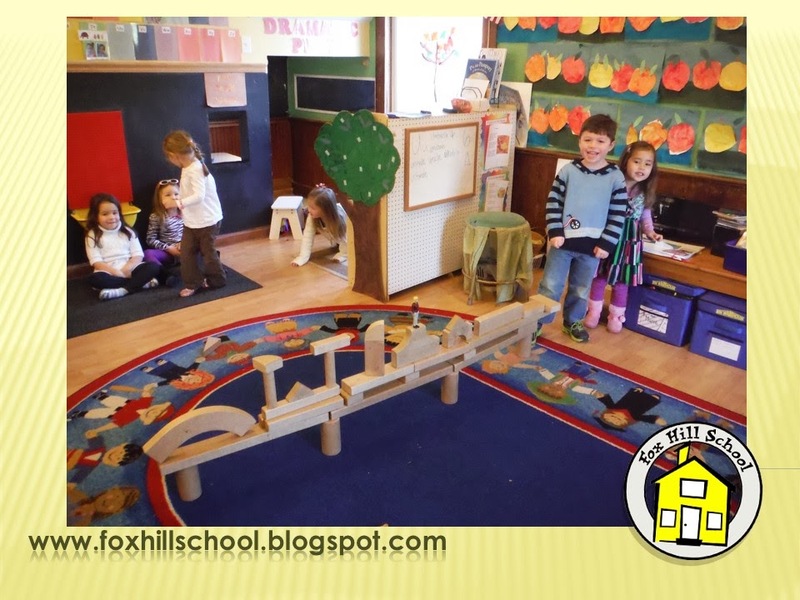 Every preschool classroom should have a set of wooden unit blocks. 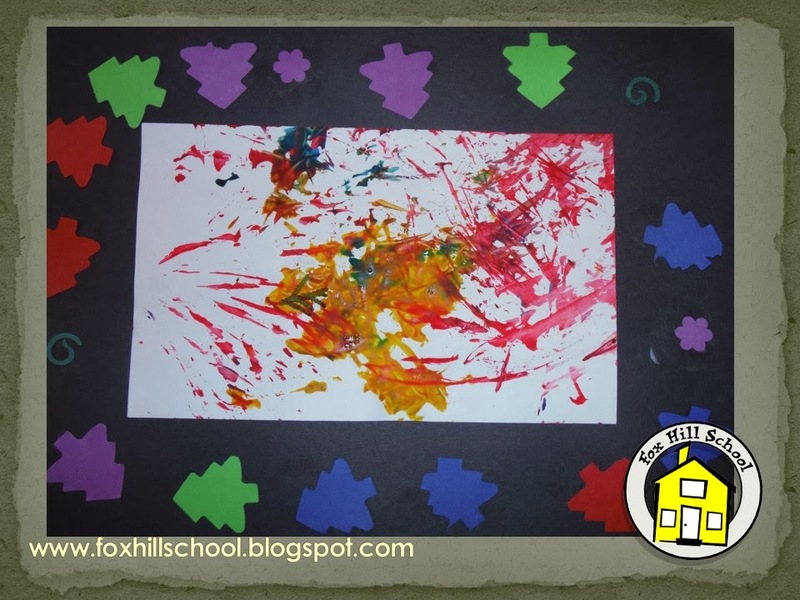 They are such an important tool in many areas of a preschooler's development and more importantly - they are super fun! 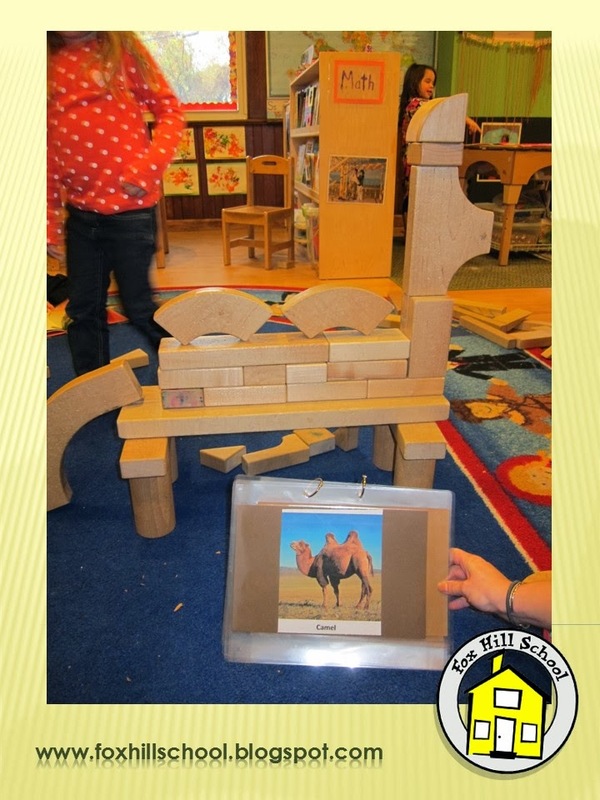 We often have the kids use the blocks to make things from the stories we read. Here are some of their latest creations! 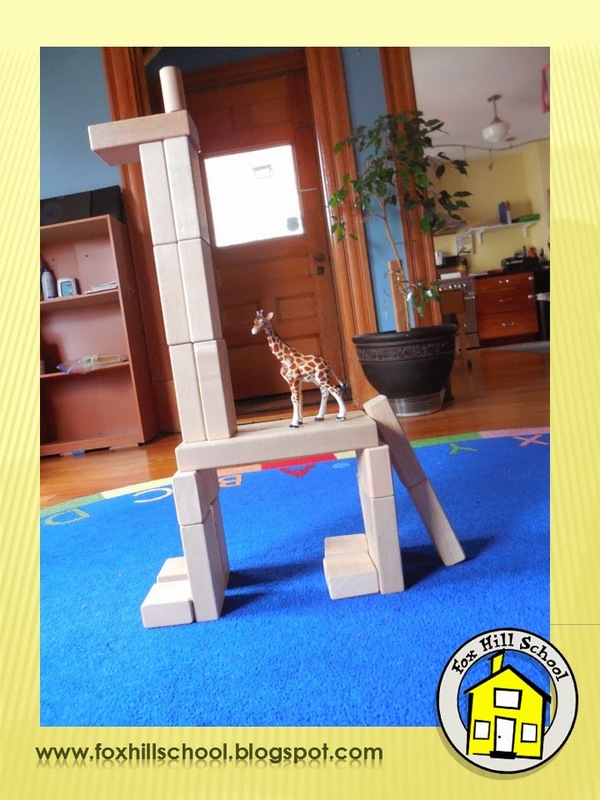 Here is a bridge like the one in "We're Going on a Leaf Hunt"
... and a giraffe like the ones we are learning about in our study of Africa! Collaboration and creativity at its best! 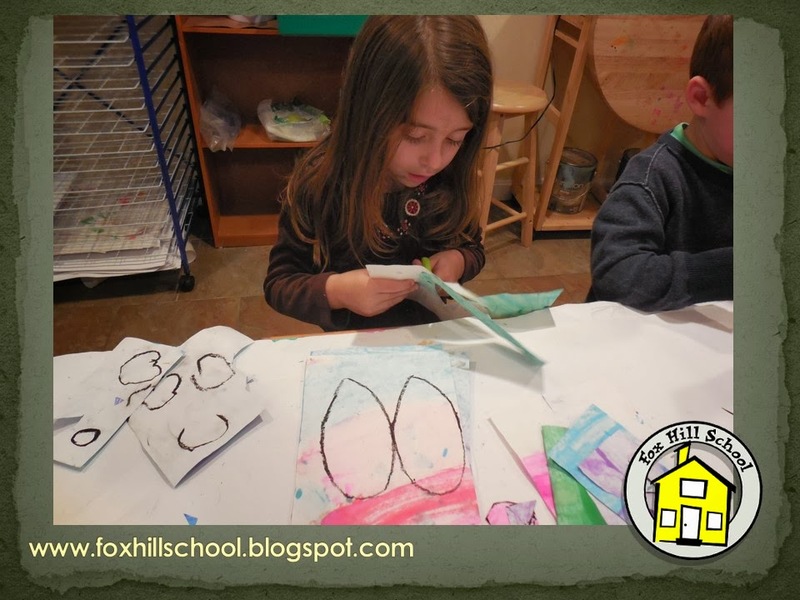 Last week at the Fox Hill School Kindergarten they were learning about owls. Last year we made these really great clay owls so I wanted to try something equally awesome but different this year. There are literally hundreds of art project ideas about owls out in the cyber world so I thought we would try one! 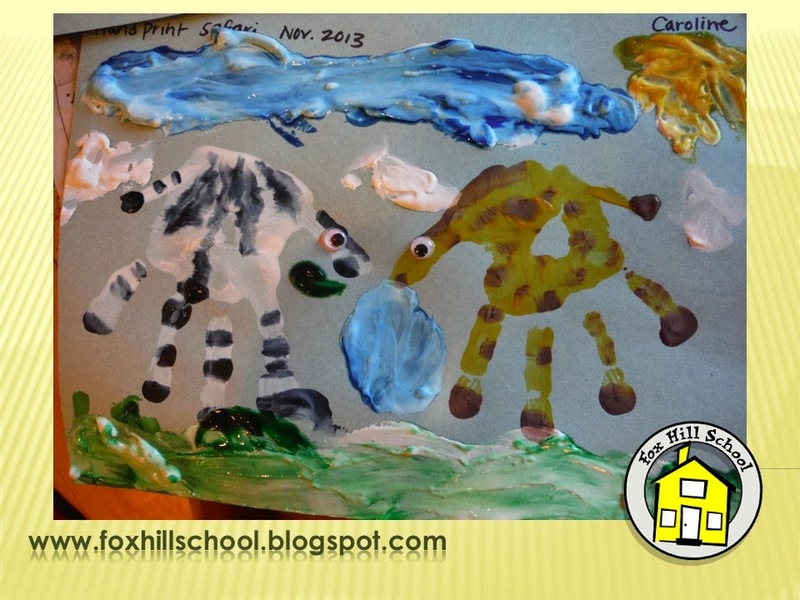 I settled on a multimedia, painted paper owl project so we read The Artist Who Painted a Blue Horse by Eric Carle. 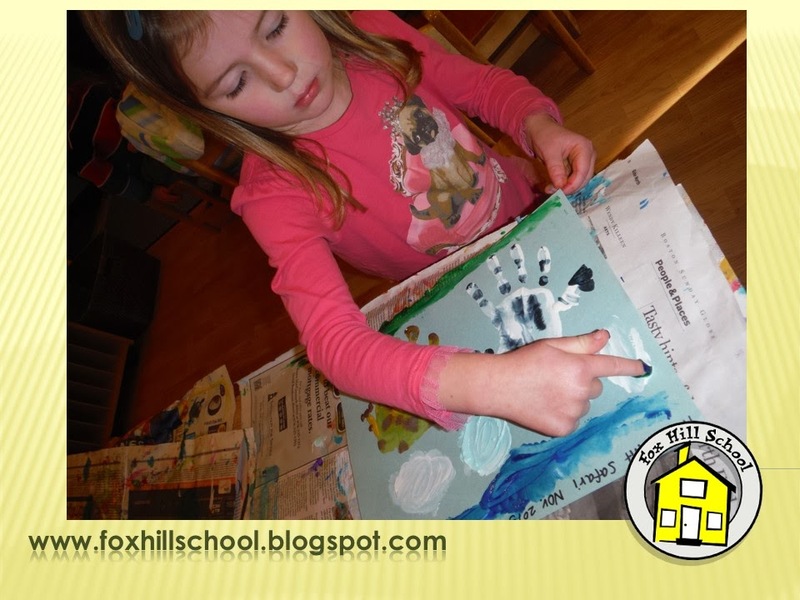 I wanted the kids to see that their projects could be whimsical - they did not have to be created just with owl colors. Who better to demonstrate that than Eric Carle! To prepare for the class, I learned from my art class at Deep Space Sparkle to sort all the paper materials into shallow, aluminum baking trays. 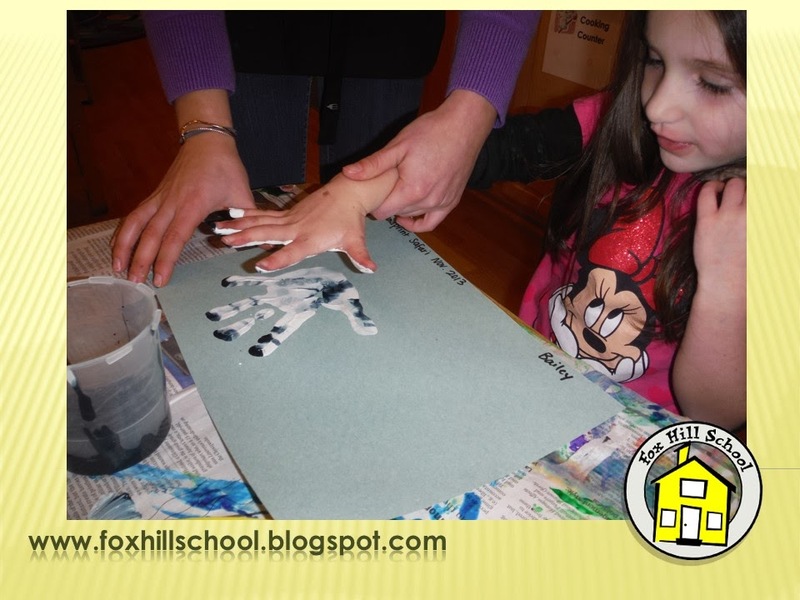 These are easy to store and easy for the kids to see what's available for them to use. 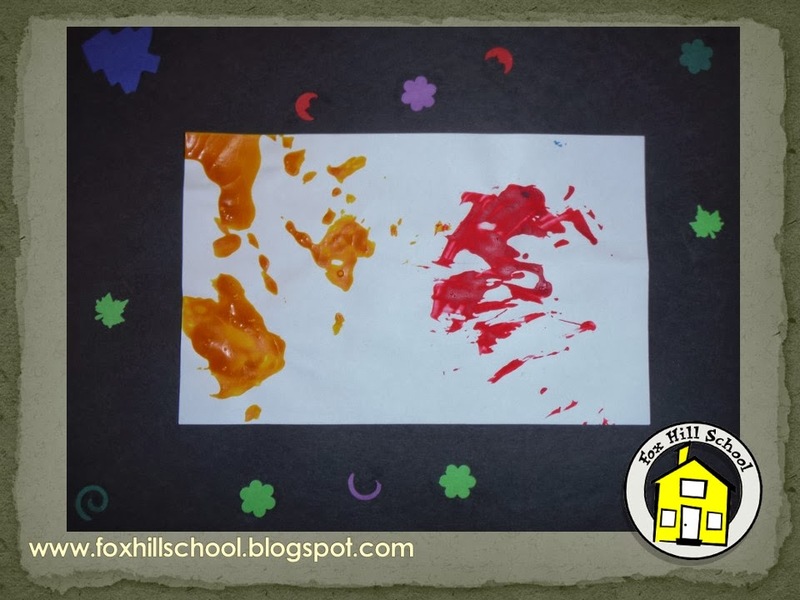 Next I made the kids a template to trace onto the back of painted paper. 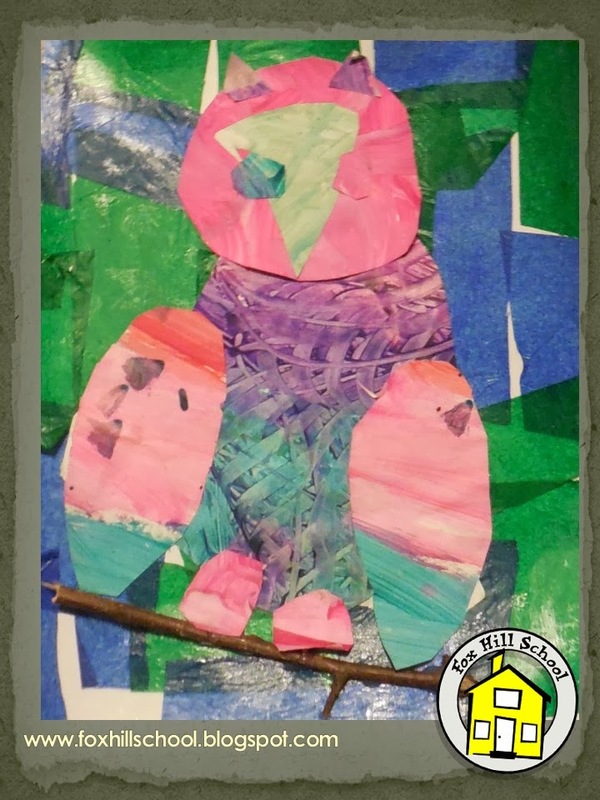 Then they cut out their pieces and glued them together then set their owls aside to dry. 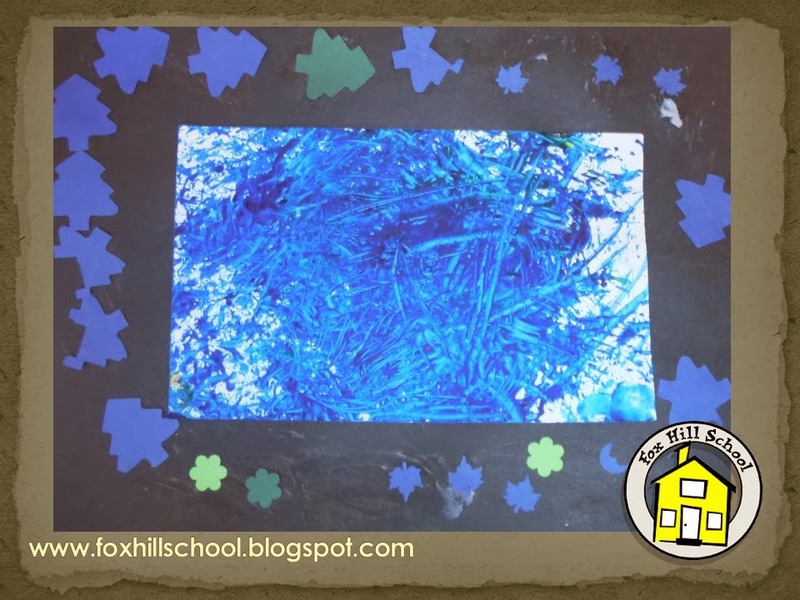 Then the kids used Modge-Podge to cover a piece of card stock-type paper with blue and green tissue paper. Then they stuck their owls onto the background while the Modge-Podge was still wet. 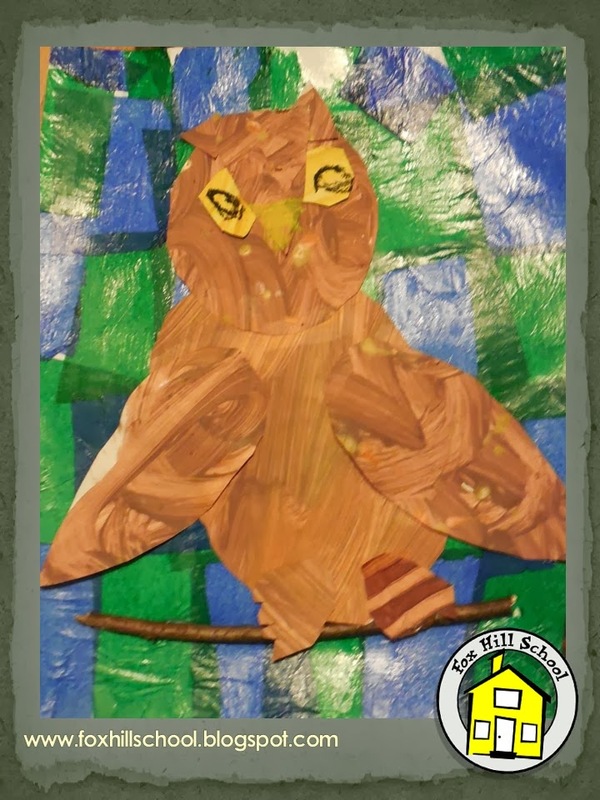 One of the kids had brought in twigs from their yard so we also glued a twig on each page for the owl to sit on. They look spectacular! 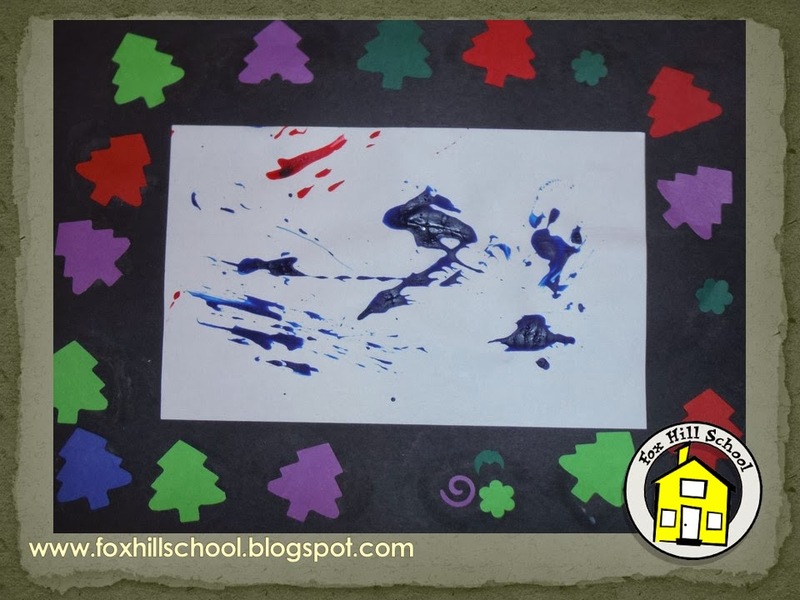 If you try this project with your kids, I would suggest not offering blue or green painted paper for the owls if the background is blue and green. 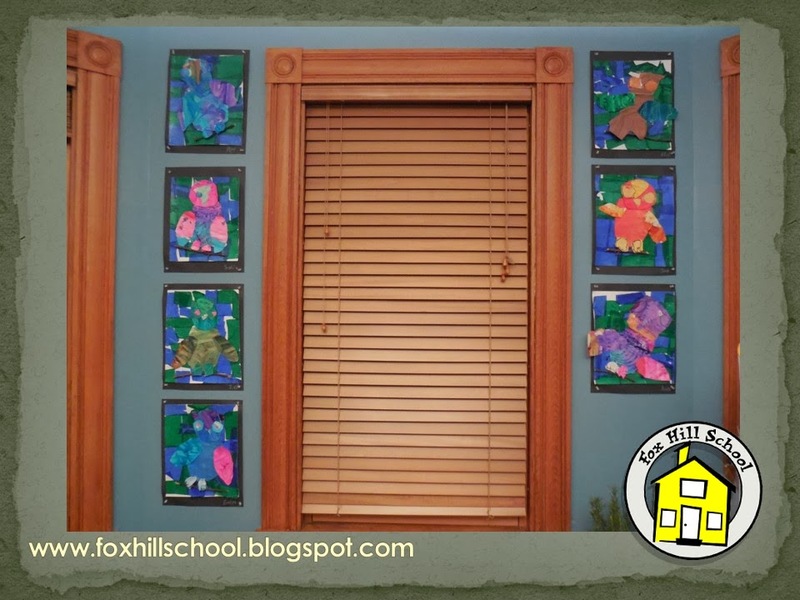 Although the blue and green owl creations look great, they would stand out more if they didn't match the background. Note to self (and you) for next time!